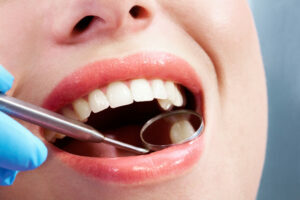 Metal fillings can make teeth appear dark and discolored, which is why we fill cavities using tooth-colored fillings. Using a durable composite resin material, or a custom crafted porcelain inlay, our cosmetic dentist can fill cavities with a stronger, more natural-looking substance that is virtually undetectable. Now, no matter how many cavities you have had filled, your smile can appear unblemished and brilliant!